Founded in 1979, Armstrong Produce has grown from a small, family-run wholesale business into Hawaii’s leading produce wholesaler and distributor. 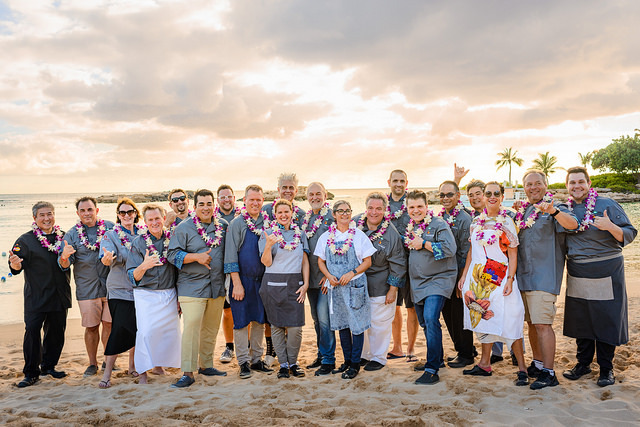 With locations in Honolulu, Kona & Kahului, Armstrong Produce supplies a wide range of customers, from local chefs to big box retailers, with fresh produce every day. Armstrong Produce & Kula Produce, our Maui office, are committed to sourcing the freshest produce at the best prices. We have built a strong, reliable network of partners that procure produce from around the world. Once the produce arrives in our facilities, we uphold the highest food safety standards to ensure that only safe, high-quality produce is delivered to our customers. Looking back at our 80 years in the produce business, starting at the family farm in the 1920s, we truly understand the importance of supporting our local growers. Local farmers are an integral part of Hawaii’s community, economy and food supply, and we are proud to source fruits and vegetables from over 100 local farmers across the state. One of the many ways we give back to our community. We are proud to be a sponsor of the HFWF, supporting local culinary education and charities. We're deeply involved in the community in many ways ranging from athletics to scholarships.